Pearl Kreations is back in business! By, the way, I’ve decided to cut prices down to $2.00CAD/button for buttons in stock, but custom orders will remain $2.50CAD/button. 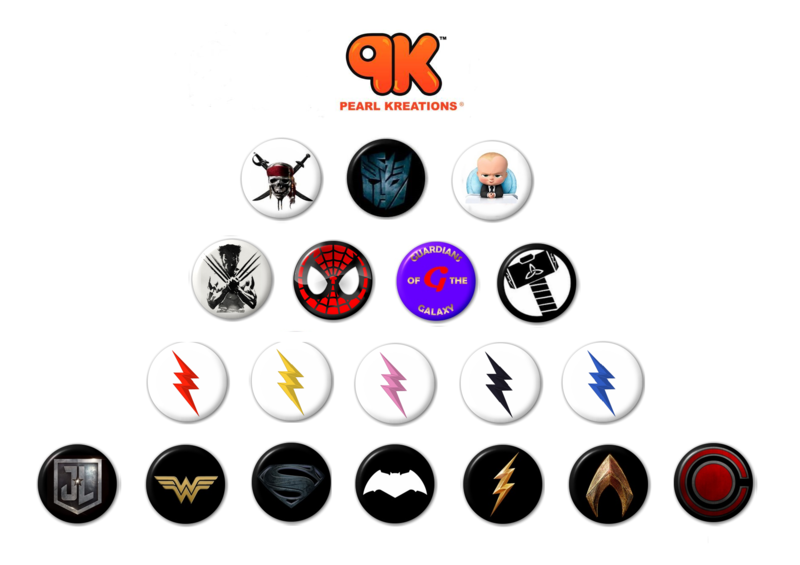 Okay, without further delay, we have twelve new buttons for some of the most highly anticipated movies of 2014! Unlike previous years where the buttons went on sale about a week before the movies premiered, this year, the buttons will be released the dates the movies premiere (in Canada). You can however pre-order online, and your button(s) will ship out as soon as the date(s) for the movie(s) arrive(s). The official promotional video for these new movie buttons was developed once again by our very own, Spinners Inc. It can be viewed on the The SKA Group’s YouTube Channel via link.